I am huge fan of snail mail. 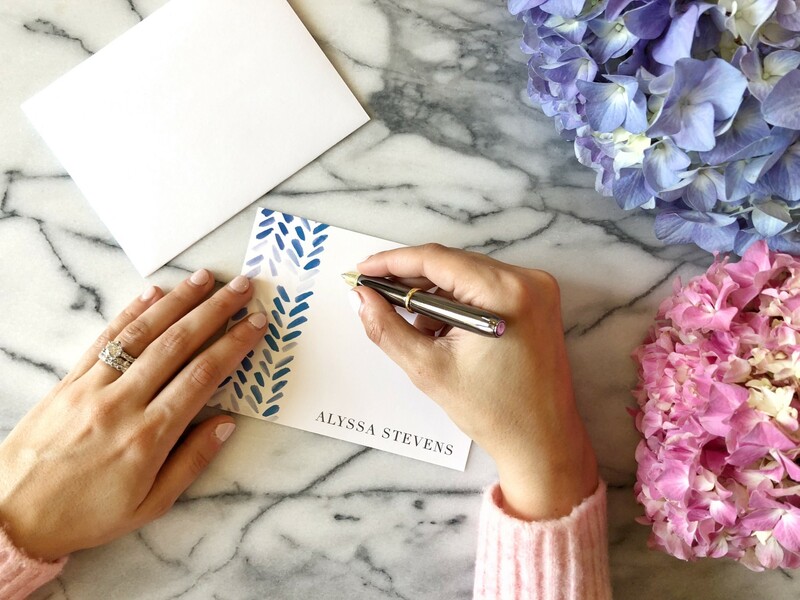 From sending a thank you note instead of just an email to mailing out printed holiday cards and party invitations, I love the personal touch of stationery. Over the years, I’ve amassed quite a collection of notecards (you can read more about a few of my favorites here), but that doesn’t keep me from continually stocking up on new favorites. 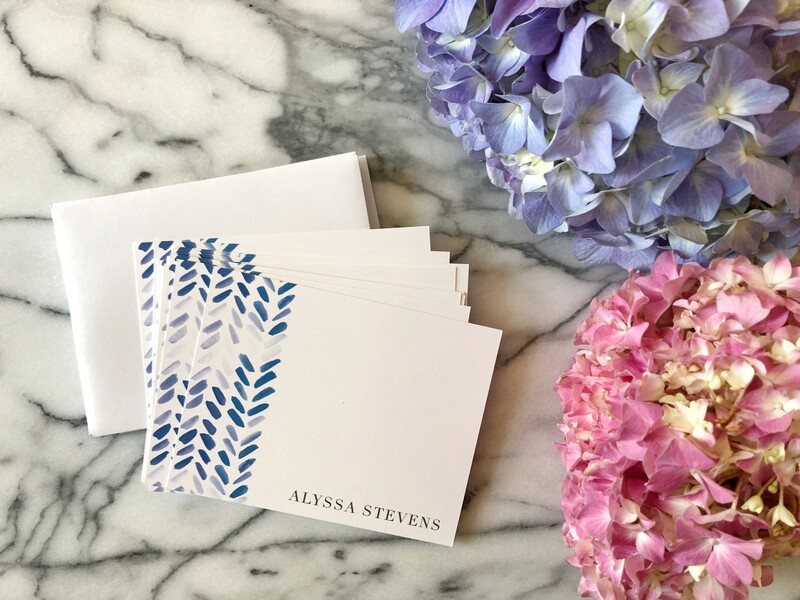 While one can easily pop into a card shop or pick up a stack of thank you cards at the drugstore, I’ve always favored customizing my own notecards online. 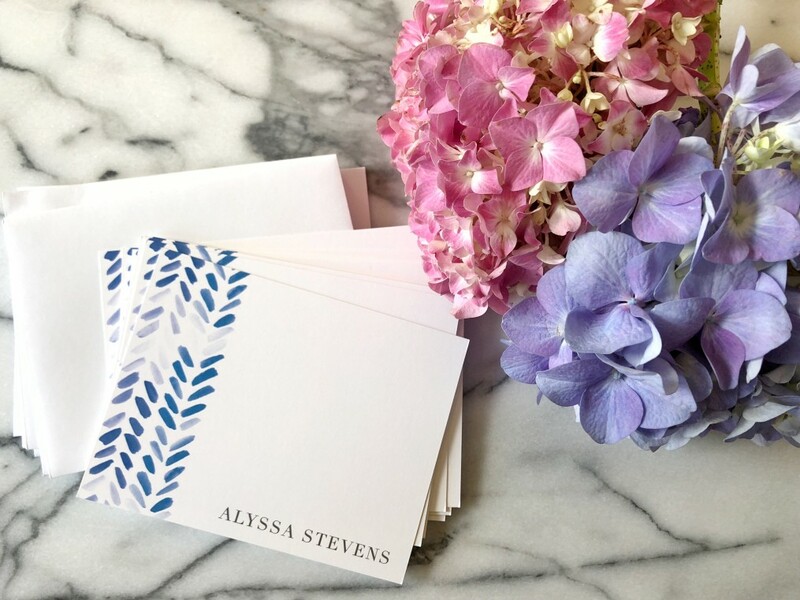 Basic Invite is an online shop boasting a diverse array of custom stationery as well as invitations (think gorgeous foil “Save the Date” cards and nautical baby shower invitations), event printables, and business cards. On the hunt for personalized notecards, DIY wedding invitations, or want to find baby shower invitations that can be edited? This is your new one-stop-shop. If you are someone who appreciates endless color options, you will adore the almost unlimited color palette available on this website. Once you select your item, you can choose to customize each portion of your selection utilizing Basic Invite’s 180+ different hues. Additionally, the color choices don’t stop with the actual card, as there are also numerous colors of envelopes that you can pick for your creation. If you love the look and feel of foil, the site also has a number of foil cards available in classic gold, silver, and rose gold. With the blog, I’ve been sending even more snail mail than before, so my latest card-buying mission has been to find notecards that look professional yet still fun. 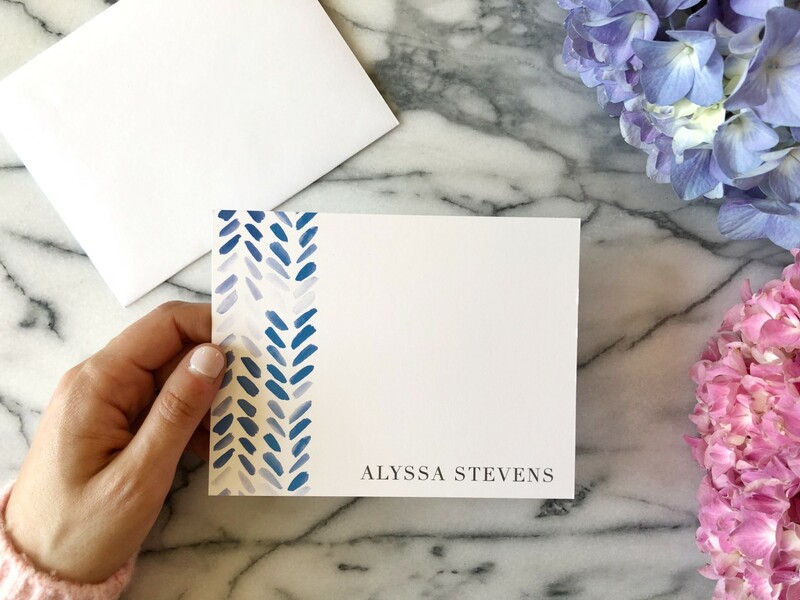 As I was playing around and designing different options on Basic Invite, I stumbled upon these beautiful blue chevron-patterned notecards, which have the option to be personalized. They are the perfect choice for business-related mailings with a touch of personality, and I can’t wait to send my first one out! Basic Invite has quickly become one of my go-to sites for all things snail mail-related. In the market for some new stationery or need to send out an invite? Basic Invite is offering 15% off with the coupon code: 15FF51.